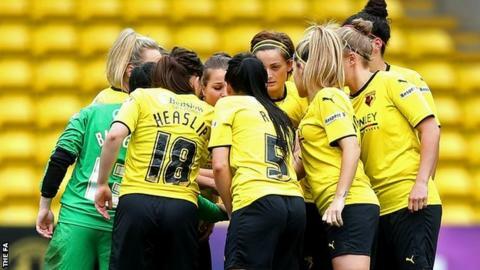 Watford Ladies have announced the signing of Chelsea striker Ellie Mason. The 19-year-old, who was previously at Watford's Centre of Excellence, has scored six goals in 23 games since 2013 for Chelsea's Development side. "I'm excited to come back and can't wait to get started," Mason told the Women's Super League 2 club's website. Mason will be available for Sunday's visit of fifth-placed Everton, as bottom-club Watford continue to search for their first league win of 2015.